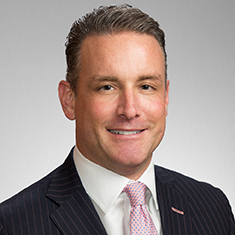 Barrett Howell is a partner in Katten's Dallas office and a member of Katten's national White Collar, Investigations, and Compliance group. Barrett's practice focuses on conducting and defending investigations into alleged securities fraud, healthcare fraud, the Anti-Kickback Statute (AKS), the Foreign Corrupt Practices Act (FCPA), and the False Claims Act (FCA). Barrett represents companies and executives in government investigations and enforcement actions involving allegations of securities and accounting fraud, Medicaid and Medicare fraud, bribery, kickback, and corruption, as well as qui tam suits alleging violations of federal and state civil false claims acts. Barrett has defended clients before federal and state agencies, including the Department of Justice (DOJ), the Federal Bureau of Investigation (FBI), the Securities and Exchange Commission (SEC), the Health & Human Services Office of Inspector General (HHS OIG), the United States Department of Defense (DOD), the United States Secret Service (USSS), and state attorneys general and state securities boards, as well as the Financial Industry Regulatory Authority (FINRA). Barrett also conducts internal investigations and advises corporate boards on internal controls over financial reporting and data protection protocols. Barrett is a co-founder of The University of Texas Government Enforcement Institute and is a frequent speaker and author on government investigations, corporate governance, and ethical compliance issues. Successful defense of a physician-owned medical practice in connection with a criminal investigation involving allegations of health care fraud, tax fraud, and wire and mail fraud. Successful defense of a doctor-owned dental practice in connection with a qui tam Federal False Claims Act whistleblower lawsuit and parallel federal criminal and civil investigations. Representation of a publicly traded real estate investment fund in connection with an SEC investigation and a parallel DOJ criminal investigation. Representation of multiple individuals and companies in various SEC accounting, disclosure, asset valuation and insider trading investigations. Defense of numerous companies and individuals in connection with federal and state whistleblower lawsuits and resulting civil and criminal investigations conducted by HHS-OIG, the FBI, US Attorneys’ Offices and state Medicaid officials. Representation of health care providers and DME/pharma interests in Anti-Kickback, Stark Act and False Claims Act investigations and cases. Conduct internal investigation for a national bank’s audit committee into whistleblower allegations involving related-party transactions. Defense of a Fortune 500 computer hardware company in a qui tam False Claims Act lawsuit and a parallel government investigation. Defense of a large-scale energy and lighting systems management company in an SEC investigation involving revenue recognition and related accounting issues. Conduct international internal investigation for an oil and gas drilling and production company into foreign transactions and possible FCPA violations. Counsel to a board of directors and special committee on governance matters related to, and conduct an internal investigation instigated by, a whistleblower complaint from a disgruntled former CEO of a public company. Defense of a former CFO of a Fortune 500 business process outsourcing company in an SEC investigation and enforcement action involving resale transaction revenue accounting. Conduct internal investigation on behalf of a publicly traded company’s audit committee instigated by a whistleblower complaint involving accounting and financial reporting issues. Defense of a global investment advisor in an SEC investigation involving valuation and financial reporting. Defense of a financial services and lending company in an SEC investigation focused on goodwill valuation and impairment testing. Defense of a health care company in parallel DOJ criminal and civil investigations. Provision of advice to the board of directors and audit committee of an NYSE-listed company through a whistleblower-initiated internal corporate investigation and accounting restatement. Defense of the CEO of a Nasdaq-listed company against an SEC enforcement action involving allegations of improper revenue recognition. Representation of a publicly traded personal care products company in connection with SEC and General Accounting Office inquiries regarding intangible asset accounting and valuation methodologies. Defense of a former executive of a publicly traded company against an SEC enforcement action involving allegations of stock option backdating.